Log-polar imaging is a kind of foveal, biologically inspired visual representation with advantageous properties in practical applications in computer vision, robotics, and other fields. While the cheapest, most flexible, and most common approach to get log-polar images is to use software-based mappers, this solution entails a cost which prevents certain experiments or applications from being feasible. This may be the case in some real-time (robotic) applications and, in general, when the conversion cost is not affordable for the task at hand. To overcome this drawback and make log-polar imaging more generally available, parallel solutions with affordable modern multi-core architectures have been devised, implemented, and tested in this work. 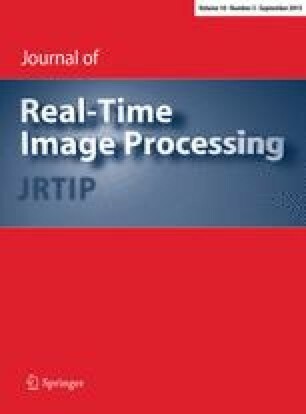 Experimental results reveal that speed-up factors as high as or higher than 10 or 20, depending on the configuration, are possible to get log-polar images from large gray-level or color cartesian images using commodity graphics processors. Remarkable speedups are also reported for current multi-core processors. This noteworthy performance allows visual tasks that would otherwise be unthinkable with sequential implementations to become feasible. Additionally, since three different approaches have been explored and compared in terms of several criteria, different cost-effective choices are advisable depending on different visual task requirements or hardware availability. Authors listed in alphabetical order due to similar contributions. The source code of the implementations is available at http://vision.uji.es/~vtraver/logpolar. The authors acknowledge the funding from the Spanish research programme Consolider Ingenio-2010 CSD2007-00018, from Fundació Caixa-Castelló Bancaixa under project P1-1A2010-11, from project DPI-2008-06636 and FPI grant BES-2009-027151 from the Spanish Ministerio de Ciencia e Innovación, and the research fellowship PREDOC/2006/02 from Jaume I University.